Model No : OE Part No. 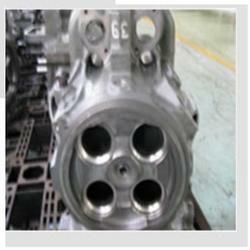 We are the leading manufacturer, supplier of Cylinder Head Parts. Our Cylinder Head Parts & Repair Kits comprise of assemblies and pumps. 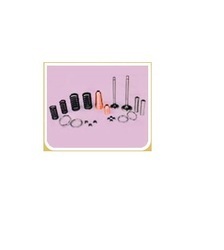 These are used to replace some parts which require repair time to time. These are made under the guidance of our experts who are technically advanced. We also provide our products as per the special requirements of our clients. We are the leading manufacturer, supplier, of Cylinder Head Parts that is high on demand for their smooth performance. This product is manufactured using quality material that is procured form the reliable vendors, thereby ensure durability and reliability. These products are finely finished and polishing. We offer complete cylinder head solution in the form of cylinder head repair kits each & every components is as per OEM standard for superior engine performance. We offer high quality cylindrical head cummins at very cost effective prices and best in the industry. We are counted among one of the leading manufacturers and suppliers of a wide array of Cylinder Head Part. These products are manufactured using gray cast-iron which are most suitable for both non-sleeve and wet sleeve engines. We also offer our clients with a wide range of petrol cylinder heads and direct injection. These cylinder heads are offered along with fitments and without fitments. We are engaged in offering high quality cylinder head Cummins to our customer. Differntial Case Cover a critical component of TATA MOTARS assembled for Axle Assembly in trucks.